There are many kinds of Foul in the middle East. 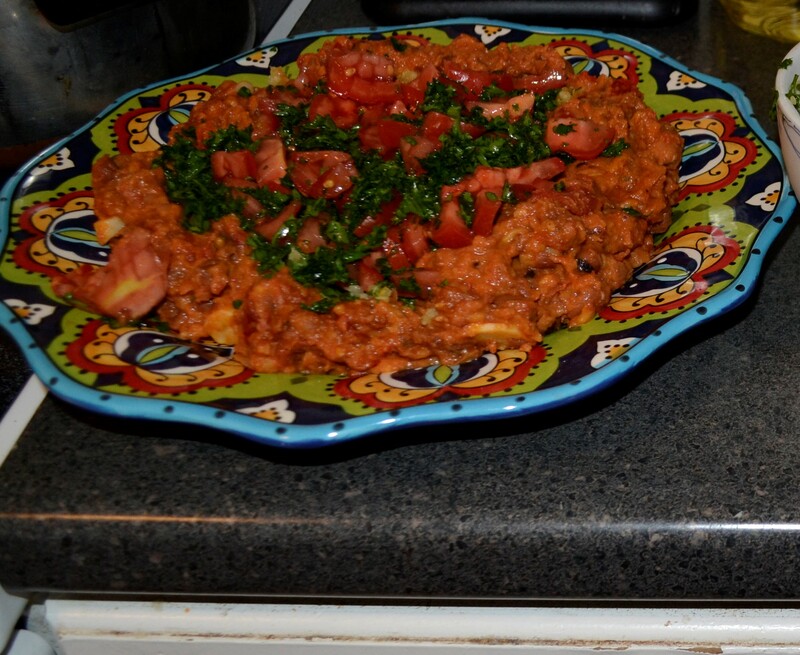 Foul is a dish comprised of fava beans which can be found at any middle eastern grocery store. In our area it is also available at the local co-op (natural foods store). Some Foul is eaten with very little added and other dishes are more elaborate. This is our family favorite! 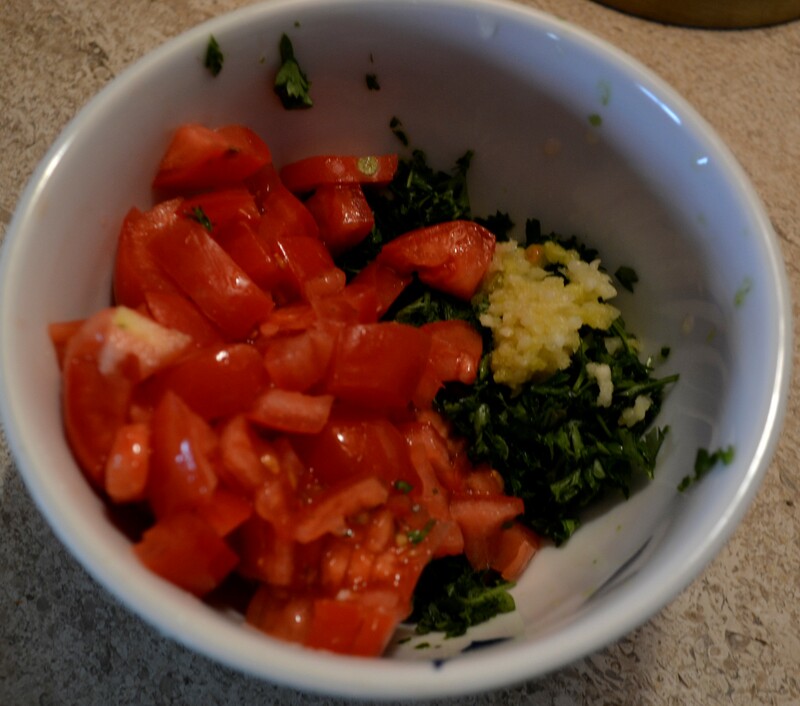 5 tomatoes, 3 chopped into big chunks and set aside, 2 chopped into small pieces and set aside. 1 bunch parsley, washed and chopped fine. Drain can of foul and place beans into a sauce pan, add 2 sliced cloves of garlic, add the 3 tomatoes that were cut into big chunks. Turn to medium heat and cook, smash some of the beans with a fork as they are cooking. Add salt and cumin, mix well. Let the tomatoes break down into a sauce. 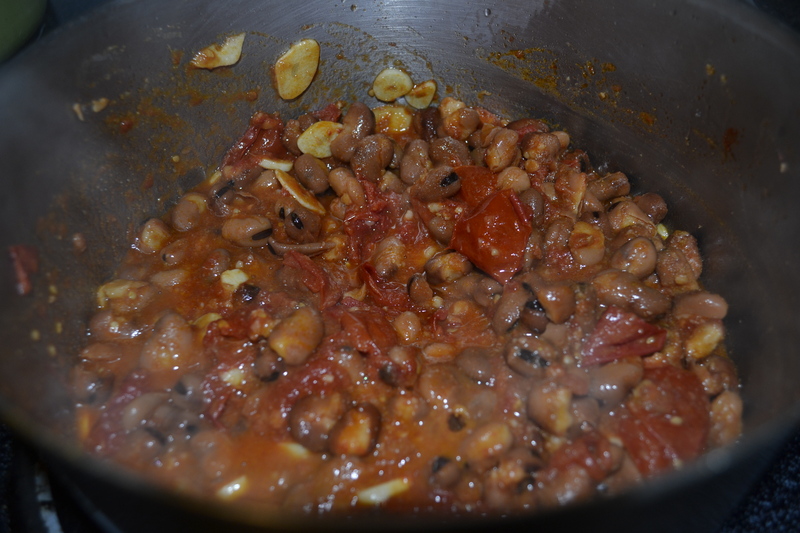 down into a sauce type mixture with the beans at this point. Add lemon juice from one lemon and stir in. 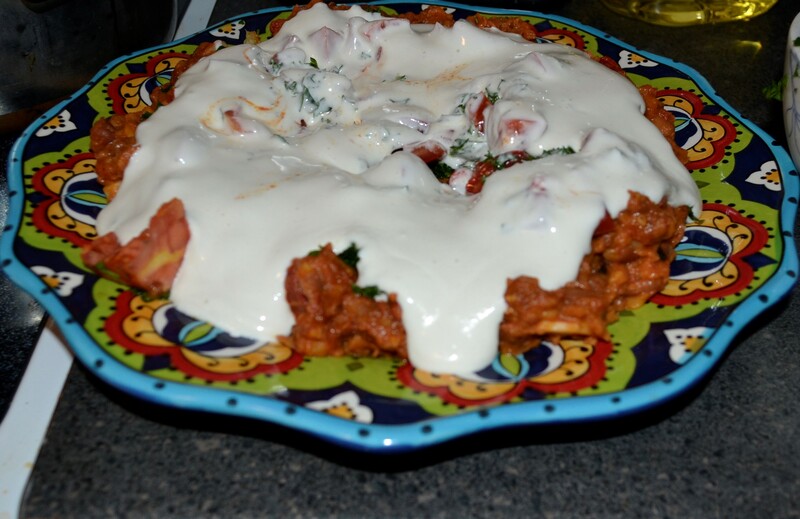 Take all of the sauce ingredients and blend them well in a blender or food processor. parsley with remaining minced garlic and sprinkle on top. Foul is typically eaten with Arabic bread.